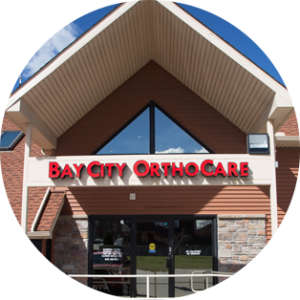 Our goal at Bay City OrthoCare is to meet all your orthopedic, prosthetic and bracing needs while providing you with the best service possible. Our experienced and accredited staff has more than 50 years of combined experience and offers comprehensive care to each and every client — no matter the physical challenges. Our team understands each patient has unique physical, practical and emotional needs. That’s why we spend time with every individual client on fit and function. Before you leave our office, you will know the capabilities of your new brace, orthotic or prosthetic. Bay City OrthoCare, LLC was founded in 2002 and is owned and operated by the DeSarro family, who were born and raised in the Erie community. It is currently being run by Anthony DeSarro and Diane DeSarro. Bill and Diane DeSarro bring over 30 years of business experience as well as a BA degree from Gannon University. Their son Anthony graduated from Colorado State University and has over 15 years of sales experience both on the national and international market place. BCO is proud to be a privately owned company employing local people with family sustaining incomes. We are proud of our relationships with the region’s doctors and hospitals. Their confidence in us shows they trust us to be an important part of your health care team. We honor that privilege by striving to offer you the best service possible. We fabricate many custom product on-site, which truly allows us to tailor each piece to a client’s individual needs. Our on-site labs allow us to make timely adjustments when necessary. We also offer more than 100 types of off-the-shelf products on-site, which means you can come directly to our building from your doctor’s office for immediate care. From cranial helmets to back braces to air boots, we have what you need. We welcome walk-in patients because we know you can’t wait to get moving. We welcome Medicare and Medicaid patients and accept most worker’s comp carriers. We also work with about 100 other insurance carriers, including all major providers. Please call today to see if we are a preferred provider for your patient’s insurance carrier. Please stop in with your prescription today and allow us to answer any questions or concerns about insurance coverage you may have.